In this age, we collect more data than ever about our organizations, our customers, and ourselves. We are also personally creating more data and content without even realizing it. It can be difficult to find the time to dig into data and derive meaning from it, let alone share that meaning with others who can benefit from it. While the information discovered can be valuable, one of the biggest challenges is capturing and holding people’s attention. With so many people communicating and producing content on the Internet, how can one piece of content stand out? One way to do this is through visual content such as infographics. 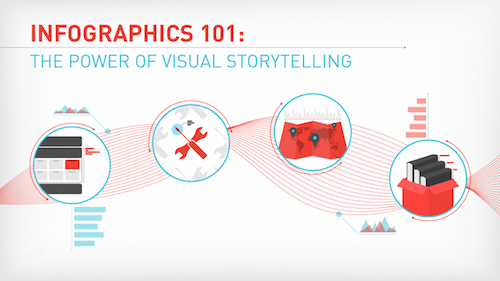 In our breakout session,”Infographics 101: The Power of Visual Storytelling,” we will conduct a group exercise that is designed to help give you a framework for coming up with better ideas, digging into your data, and constructing better narratives. This critical framework will help you objectively assess how good your story actually is, with constructive criticism provided by your peers. If you plan to attend, it would be helpful to bring along a specific communication problem or data set to start crafting a creative brief that you can provide to a designer or agency to ensure a successful project. By giving people a visual story they’re already interested in (a result of taking the time to know your audience), you can provide tremendous value to those you’re looking to engage and influence. You can also find stories to benefit your own team or company, to improve upon internal processes, and to communicate with important stakeholders who help determine your organization’s success. Please join us!